All four libraries are wheelchair accessible with hearing loops and height adjustable tables available. Disabled parking is provided at each site with accessible toilets either inside or very close to the libraries. 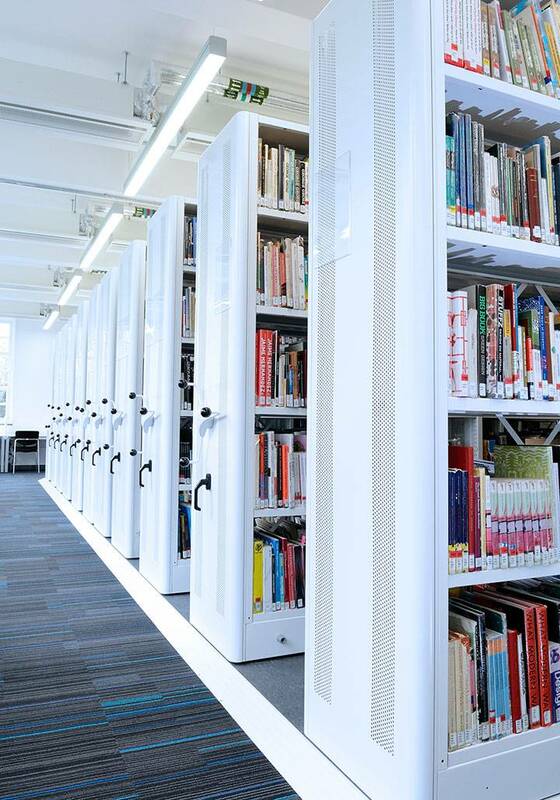 The libraries provide a variety of additional support options designed to improve access to services and facilities for students who have been assessed by the disability and mental health team. Please contact disability@kingston.ac.uk to speak to an advisor about your individual requirements. Access Technology Rooms (ATR rooms) at each library site which provide a dedicated space for students with accessibility needs. Each room is equipped with specialist software and tools for using the computers and reading documents. One-to-one library inductions and specialist support using library resources. These are provided by your subject librarian. Enrol on Library Canvas to find your librarian and discover library support tailored to your course. Support within the library such as book fetching, extended loans, assistance with photocopying/scanning. The ability to request unlocked digital versions of texts which can be used with accessibility software. You may have been advised of the need for a personal evacuation plan. If you have one of these you should follow those guidelines. If you do not have a personal evacuation plan and feel that you need one (for example if you have a mobility difficulty or a hearing impairment) you should contact the disability and mental health team at disability@kingston.ac.uk who will be able to advise you. The general guidelines are that you are advised to inform the library staff on arrival if you have mobility difficulties or impaired hearing so that library staff are aware that you are in the building in case of emergency evacuation. If you are hearing impaired, you are advised not to work alone on remote floors (at Penrhyn Road and Kingston Hill), as the emergency alarm system works only on an audible principle at the present time. Lifts must not be used during an emergency or fire drill. If you are unable to use the stairs, please be aware of the designated refuge areas which are typically located in stairwells.